Dr. Hernández is currently the Director of the Technical Assistance Center on Disproportionality (TAC-D), managing training and development of TAC-D new and ongoing associates, overseeing implementation of TAC-D’s deliverables, and monitoring TAC-D’s technical assistance and training for implementation fidelity. She has coached K-12 school leadership in developing systems that address disproportionality and equity, provided technical assistance and training using the following components: an equity vision, data driven culture, instructional leadership, positive school climate, community engagement and devising action plans with multiple districts in making changes to system policies and practices to develop equitable educational systems. 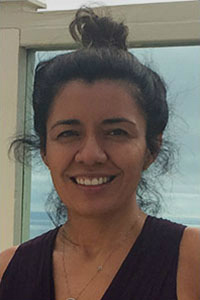 Dr. Hernández also has over 15 years of experience working with and researching recently arrived immigrant Latino children and families, including overseeing various elementary school programs; developing and managing extended summer learning programs for ELLs; creating partnerships between schools, community, and families; and working with families of young children with developmental delays. She has managed and designed studies focusing on immigrant origin adolescents and young adults. She served on task forces developed to improve access to equitable education and academic achievement for Latino students in Madison, WI.